Engineered Measurement Systems, Inc. excels in the field of Torque & Force Measurement, Transducer design and Calibration services. A complete line of Torque Sensors, Torque Meters, and Transducers are available for general-purpose or specialty applications. Our staff of seasoned engineers can take your custom project to another level of precision. We work with our Customers to evaluate & develop stable, precision Measurement Systems with an eye on reducing costs without sacrificing the integrity of the final data. From our all-purpose economy line of transducers to our massive ANVIL Torque-Meter line, we have the ability to satisfy your requirements, whether it be a standalone Torque-Sensor or a complete drop-in Data Acquisition System. Knowing that any measurement is only as good as its weakest link, we provide the best cabling & instrumentation, consider special compensations for any environment encountered, and calibrate the entire system to perfection. We do take the measurement full cycle. Our products have helped our Customers become leaders in the world of high performance measurement and are well represented in the Industrial, Automotive, Aerospace & Outer Space applications domain. Whatever your design needs are, our Application Engineers have the experience, resources, and the desire to make it perform. Day after testing day. Attention to detail is what separates Engineered Measurement Systems from the competition. Please call or email our facility to discuss your measurement requirements or to request a professional quote today. 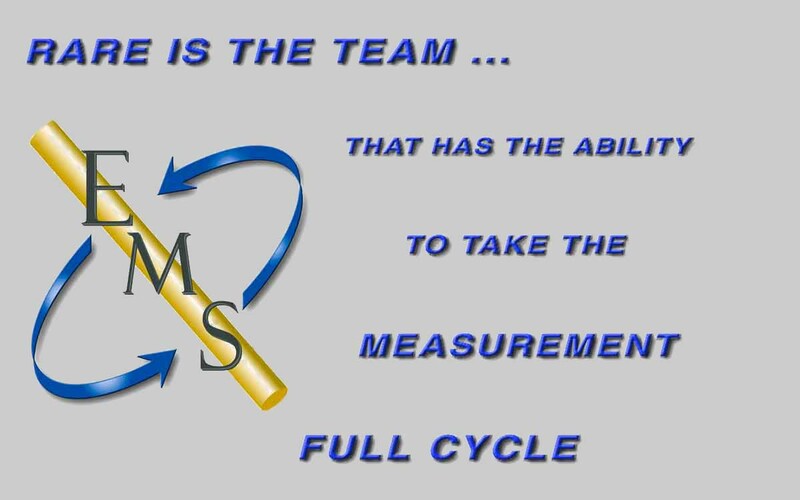 "Leaders in Rotating Torque Measurement"
&COPY; Copyright 1998-2002 Engineered Measurement Systems, Inc. All rights reserved.